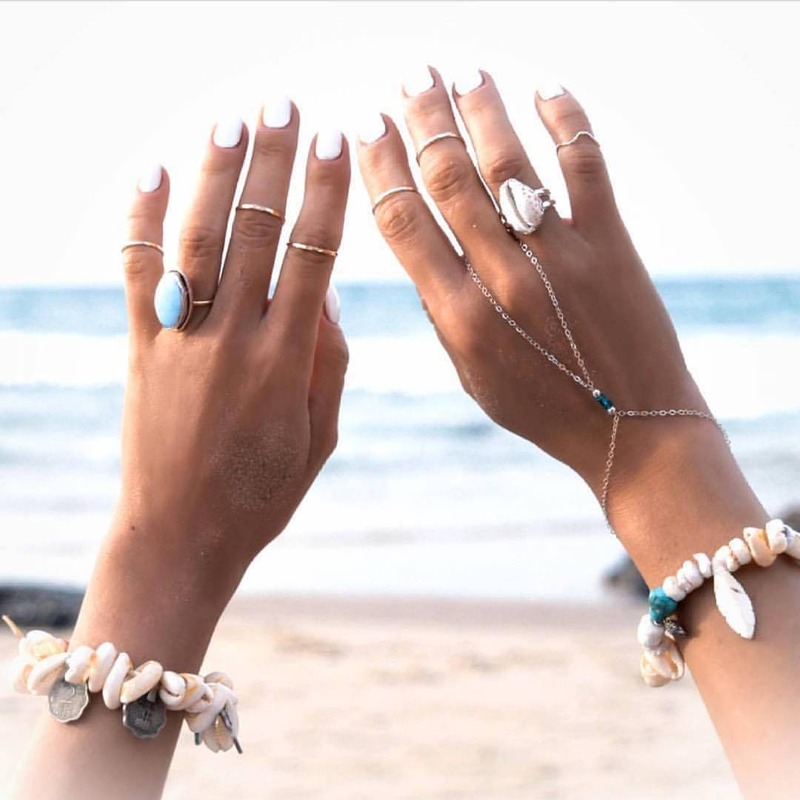 A must-have ring for any beauty with a connection to the ocean. 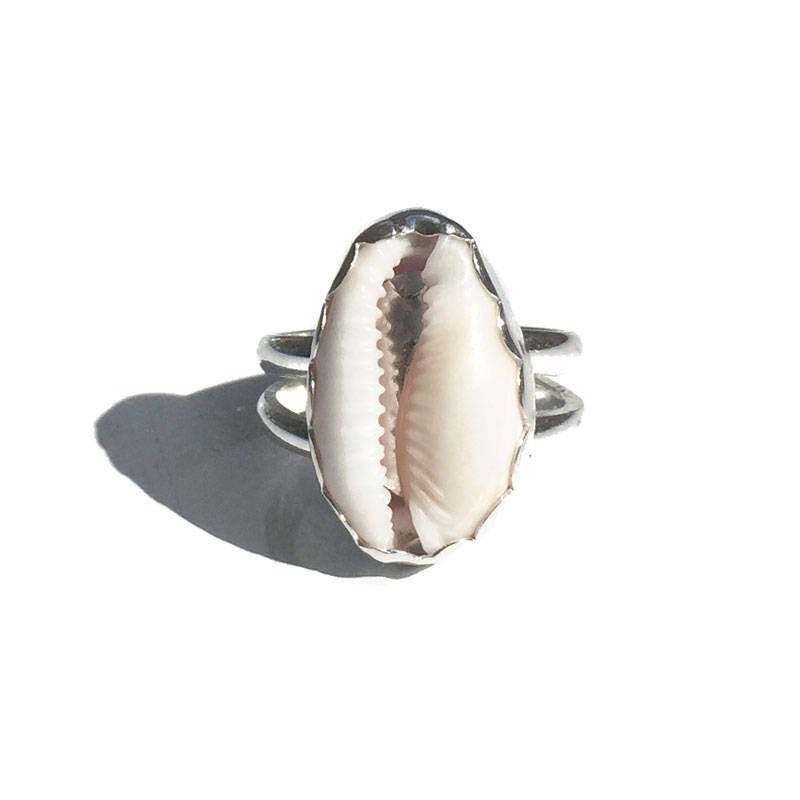 Featuring a cowrie shell set in a scalloped fine silver bezel on a split sterling silver ring band. 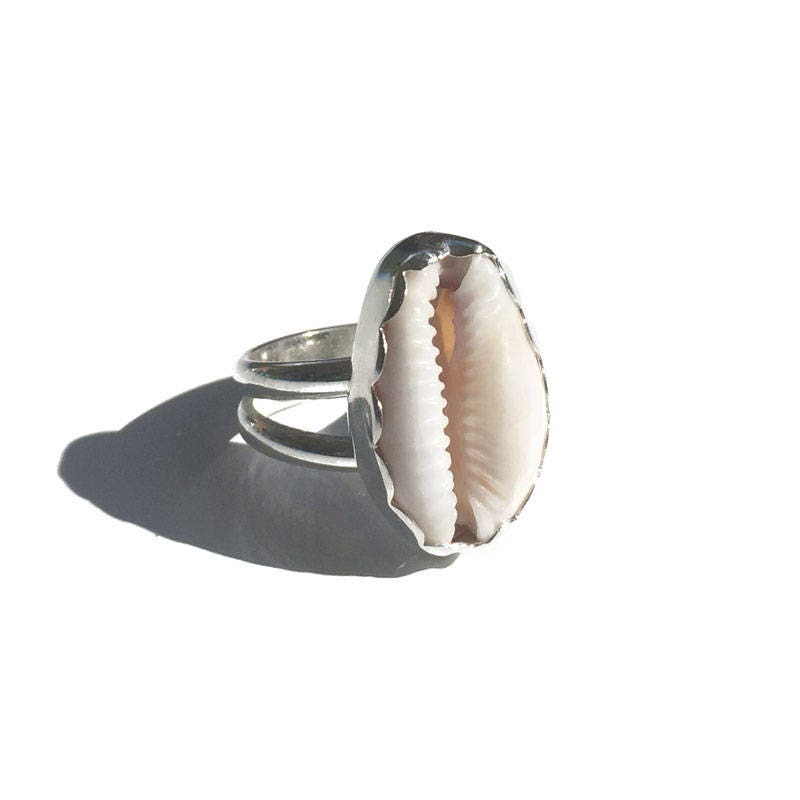 The shells used in these rings were found at local beaches then cut & sanded down to the proper shape and size to be used in my creations. Please note that your shell will vary slightly in color & size to the one pictured. If you need a half size just include it in a message at checkout. This ring is made to order especially for you! Please allow up to 2 weeks production time before shipping.